As an author, Gessen manages to be both sad and funny about aging and identity, exploring different aspects of being Russian, American and Jewish. Keith Gessen, once best known as the younger brother of fearless journalist Masha Gessen, has come into his own. In fact in the United States, he has become a sensation known for his full-lipped pout as well as his literary prowess. Only a handful of writers reach the level of controversial heartthrob. If the blogosphere is any testament, Gessen is certainly getting there. They moved from Moscow in 1981 when Keith was six and his sister Masha was 14. In 1991, Masha Gessen moved back to Moscow, where she works as a high-profile journalist, editor and author. Born in Moscow in 1975 and educated at Harvard University, he is well regarded as one of the founding editors of n+1 magazine. Founded in 2004, n+1 is a literary, cultural and political journal published a couple of times a year. It has attracted more attention than its 7500 print-run would suggest. It first published Elif Batuman's essays about Russian Literature and features commentary on subjects as diverse as drug wars in Mexico, free speech or gay marriage. It includes poems, stories and extracts from novels, including the prologue to Gessen’s own foray into fiction. Gessen’s satirical novel “All the Sad Literary Young Men” (Viking, 2008) is full of semi-autobiographical characters, including a first-person narrator, also called Keith and originally Konstantin, whose college days in the iconic “late Clinton years” resemble the authors’ own. The title adapts the name of a collection of short stories by F. Scott Fitzgerald. Gessen’s book follows the interconnected tales of three young men from the late 1990s through to an optimistic conclusion in 2008. Sam, Mark and Keith each have their own obsessions, but they all have problems with women, work and fame. A later trip the West Bank takes the prose into more serious territory than the educated New York circles that are its central playgrounds. The book manages to be both sad and funny about aging and identity. Gessen explores different aspects of being Russian and Jewish with self-conscious cleverness. Gessen’s best friend and fellow n+1 editor Chad Harbach also published a novel recently, “The Art of Fielding” (Back Bay, 2011). Gessen's e-essay, “How a Book is Born,” is based around Harbach's novel, using it as the central case study in a surprisingly readable exploration of the early 21st century publishing industry. It is exactly the kind of grand idea that appeals to Gessen, who pretentiously describes his own experience of rereading Harbach’s novel: “as if time itself had written this book, had worn the grooves of plot and character into it ...” Occasional irritating phrases and faux-naif name-dropping (“We just saw Ice-T get into a red Bentley sports car”) do not detract from a powerful trade tale. 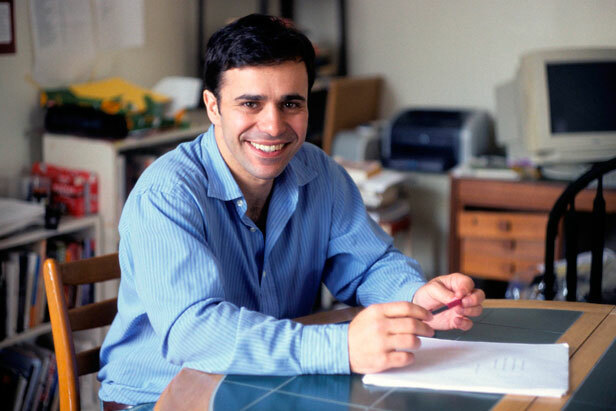 Keith Gessen wrote about the Moscow protests for a 2011 essay in the London Review of Books and elsewhere, but his political focus was New York, where he joined the Occupy Movement. Police arrested him in November 2011 and he co-edited a newspaper about the movement. It is one of many essays that reveal Gessen's genius for seeing the big picture, his bold style as a journalist and his flair for incisive comment.